Andy joined the dojo on the opening night at 15. He became an electrician on leaving school and now works as a highly skilled technician for a Japanese company working in the security industry in CCTV and entry systems. He is also a Reiki practitioner and a first aider. Matt was the first junior (Hattori) to come through the door at the age of 10. 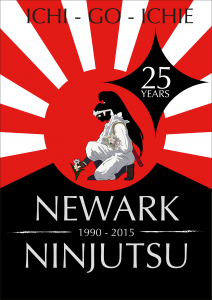 He was already a 1st kyu in Shotokan karate but gave it up to carve out a lifestyle in Ninjutsu. On leaving school he became a chemical analyst for a local malt company and now works for British Sugar doing similar work. He is a keen fisherman and a qualified first aider. The team have a combined experience of Ninjutsu, CQB, self defence, self protection and other martial systems of over 80 years.